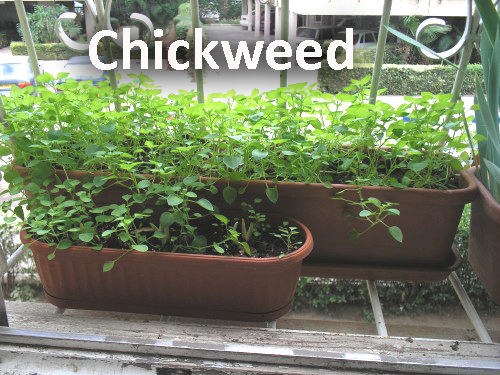 What is Chickweed and why do I want to pot some? Well, we had that same question and this is what we found out. Chickweed is a sprawling plants. It has tiny green leaves with stems that have tiny white hairs. The white flowers have 5 petals, though they tend to be deeply notched and can appear to be 10 petals upon first glance. Chickweed is high in calcium, iron and magnesium, as well as Vitamins A & C. It is packed with nutrition but admittedly the flavor can be a bit bland on it own but there are some great ways to include it in your meals. 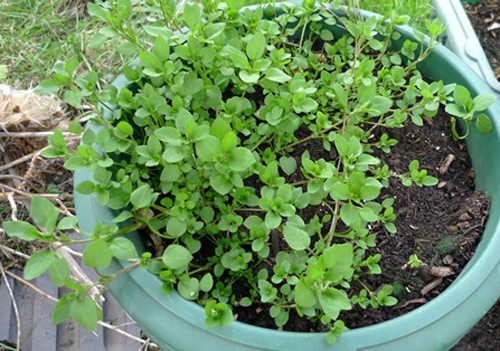 Salads - Combine chickweed leaves and flowers with other greens for salads. 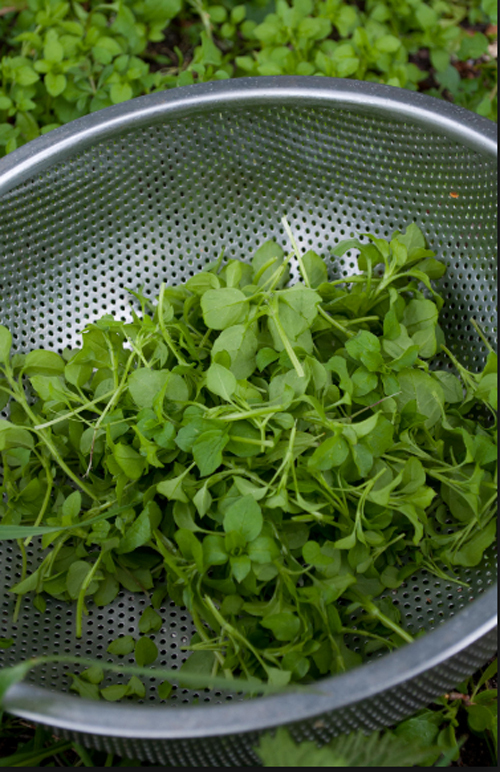 Pick young tender leaves because as the summer wears on the stems tend to get a bit stringy in texture. Smoothies - Because it's bland adding it to fruit smoothies increases the nutrition factor without getting in the way of the fruit tastes. Pesto - Chickweed makes a delightful and easy pesto. Make a bunch when it is plentiful and freeze it for tasty meals. When it comes to planting it in a flower pot it - you would want to treat it like any herb. Use well draining potting mix, plant in a garden container that has a drain hole. Fertilize as directed and water the roots not the leaves or flowers. It's really lovely in a garden planter and will add beauty and lushness to any garden decor. Since it does start to trail you may want to add it to the outside of the pot and put taller plants in the center. [Read More] Tips for creating a fairy garden pot.